This Indian Timeline provides history, facts and information about famous people, important events and key dates in chronological order. Discover the major events in the Indian history via this Native American timeline. Important dates in a fast date order format providing the sequence of important past events, which were of considerable significance to the Native American Indians, via the Native American Timeline. The Tribe Location Map provides an instant overview of the Indian tribes in the early 1800's. 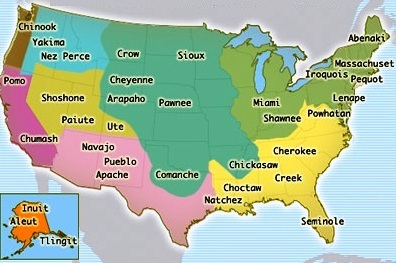 The Native American Indians are defined by their culture groups according to their location which influenced their lifestyle due to the environment and climate in different parts of North America. 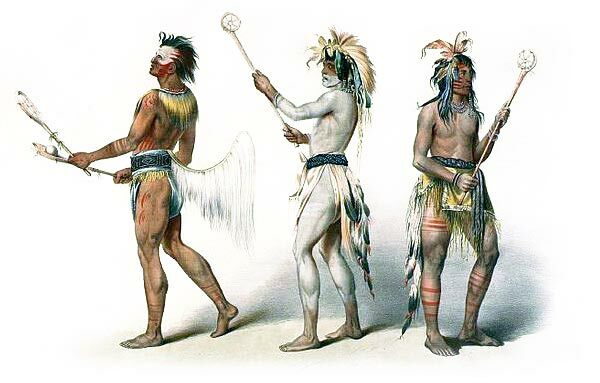 Discover the information and facts about the history of the Indians via this Native American Timeline - simple to read with fast facts about the history of the Native Indians. For additional facts refer to Native American History. Discover the information and facts about the history of the Indians via this Indian Timeline. This section of the Indian Timeline details key events and dates from the Pre-Historic Stone Age to the 1400's. 1540: Francisco Vázquez de Coronado explores Southwestern North America and Mexico fighting the Choctaw tribe and defeating the Zuni Pueblo Indians. 1711: Fox Wars 1701-1742: First Fox War (1712–1716) and the Second Fox War (1728–1733). 1729: 1729 Following the Natchez Wars of 1716, 1722 and 1723 the Natchez Rebellion (1729–1731) when Natchez Indians massacre 250 people at Fort Rosalie. 1785: Northwest Indian War (1785–1795) in Indiana and Ohio. The Indian Timeline. Discover the vast selection of pictures and videos of Native Americans. The pictures show the clothing, weapons and decorations of various Native Americans that can be used as a really useful educational resource for kids and children of all ages. Our series of videos enable fast access to the images, pics, paintings and pictures together with information and many facts. We hope that this article on Indian Timeline will assist in your studies or homework and that you will enjoy watching the videos featuring many pictures of the Native Americans. A great educational resource for kids on the subject of Indian Timeline.